There will be a third installment of The Treehouse Chronicles from Phillip Raines soon. Here's a preview. 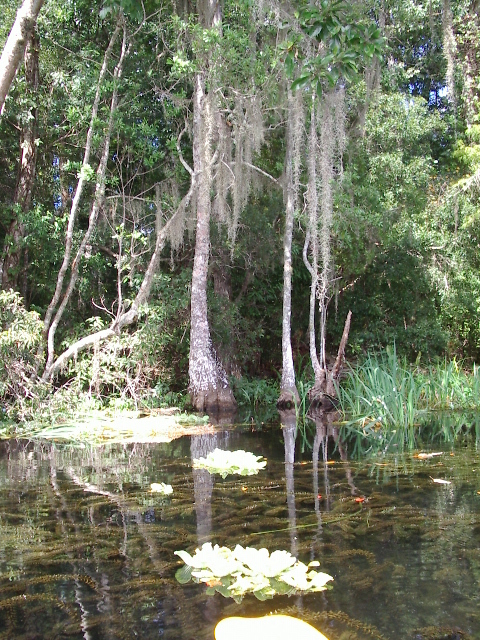 This weekend we took an excursion down the Wacissa River, about half an hour from the treehouse. 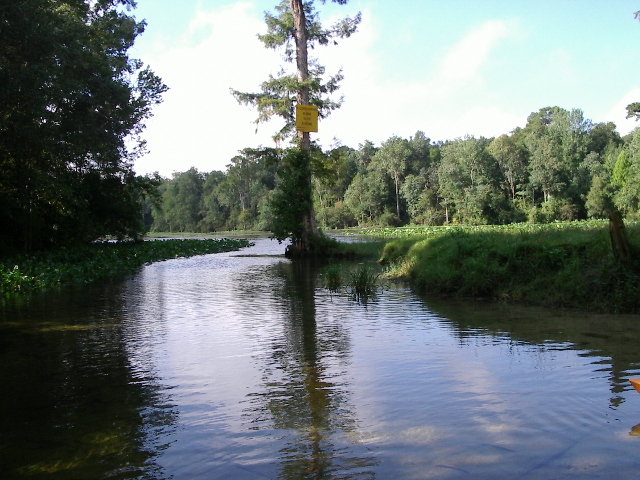 The river is clear and wide and full of floating vegetation and birds. Off the river there are creeks fed by springs that boil up out of blue holes - what locals call the headwater where underground aquifers emerge through the limestone. They create perfect swimming pools and, as you swim over the deep stone pit, the water will push you to the surface. This blue hole was maybe fifty feet deep and is surrounded by a primal forest. 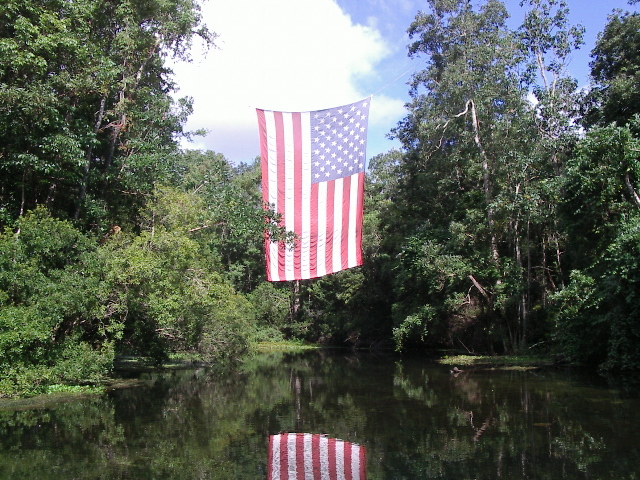 It was so out of place to see a huge flag suspended between two trees with a cable in this river that otherwise has looked the same since the Spanish first stumbled across it. The flag is big enough to be flying over a car dealership although it reflects nicely over the water. A national holiday moment.